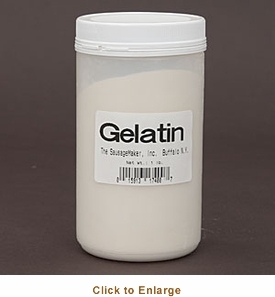 You�re viewing our Sausage Maker gelatin � 1 lb. container. Sausage Maker's gelatin powder is used as a binding agent when making head cheese, souse and other lunch meats. 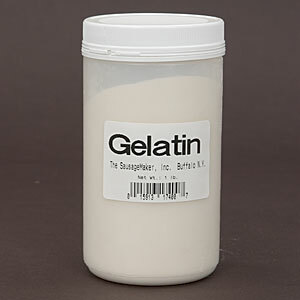 Gelatin supplementation is also thought to help improve joint function. 1 lb. package. We are available to answer any questions you may have about our products.